Fall is coming because: 1. it gets down to the 60s at night (I don’t care if it is in the 80’s during the day!) and 2. look at our new window display! AH!!! I am beyond ready for crunchy leaves. 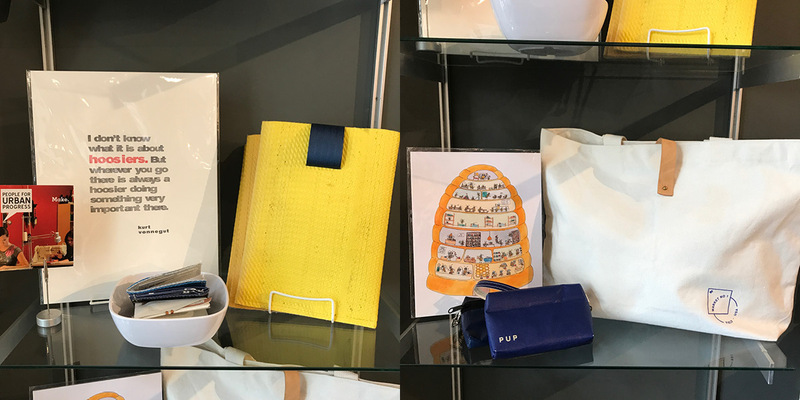 Our knitwear is currently being prepped for display, so until then we have a beautiful line up of new goodies to share with you. 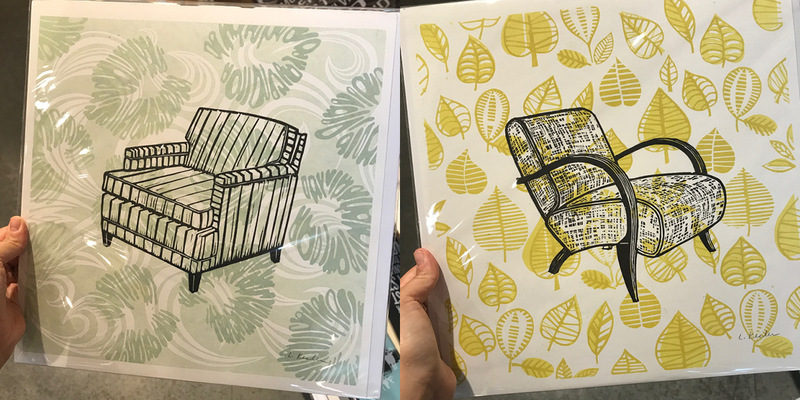 New chair prints by Lisa Kessler Studio. 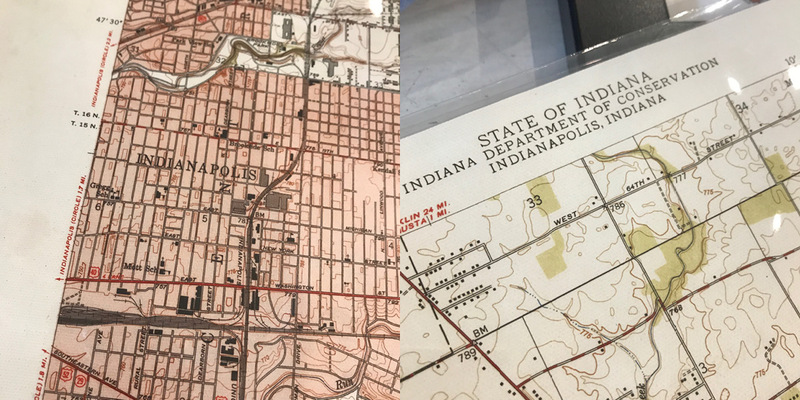 Vintage maps of Indianapolis printed on really nice canvas sheets by Arterx. 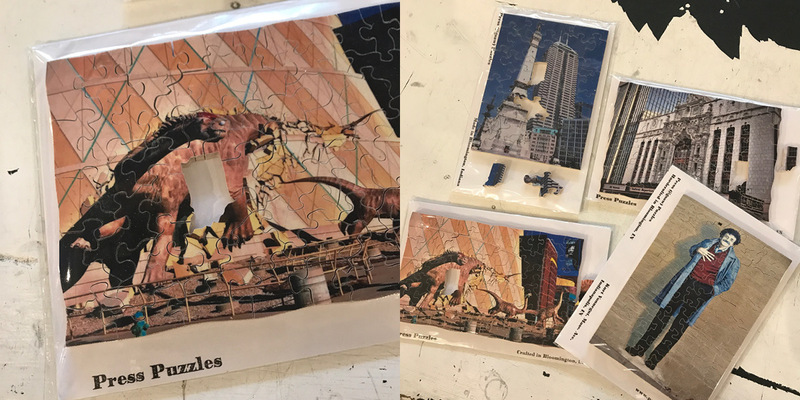 Handcrafted in Bloomington, IN, we’re loving the local love in these puzzles by Press Puzzles. Beautiful new soy candles from JKM Soy. New deodorant scent from Teehaus Bath & Body, it smells amazing. 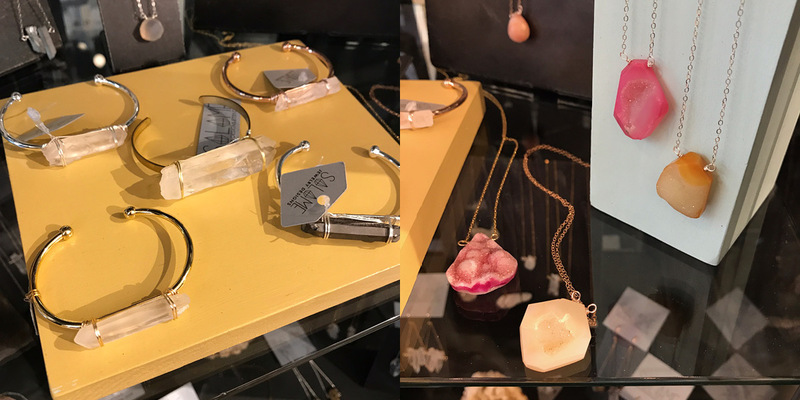 Another adorable print from Lisa Kessler Studio, and we’re in love with this decadent new jewelry line by Fulcrum Jewelry Studio. 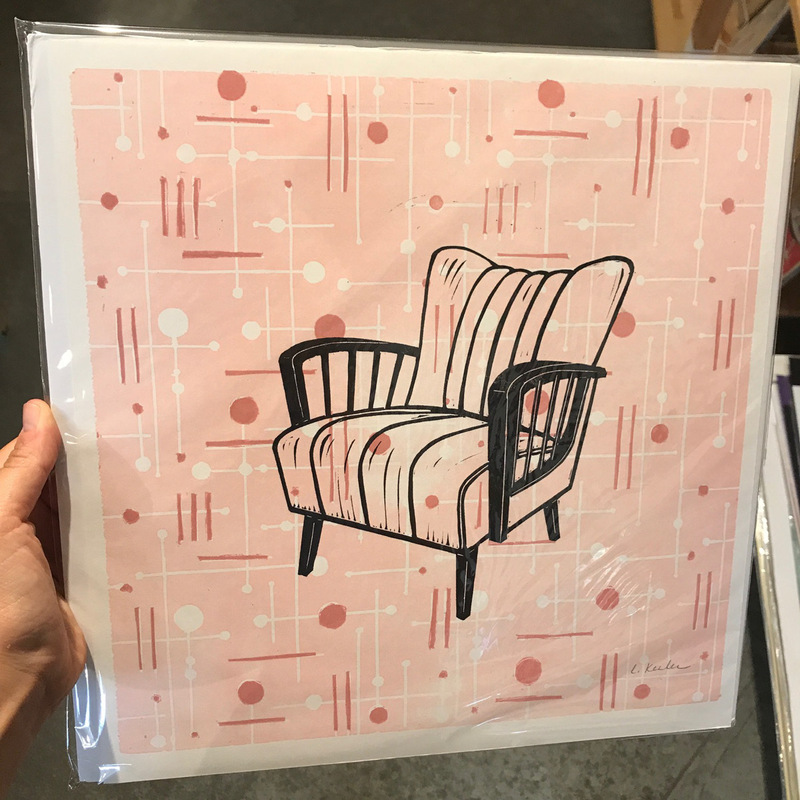 Lots of great prints for the kitchen (or anywhere) from Art Food Collective, and more framed beauties from Lisa Kessler Studio. 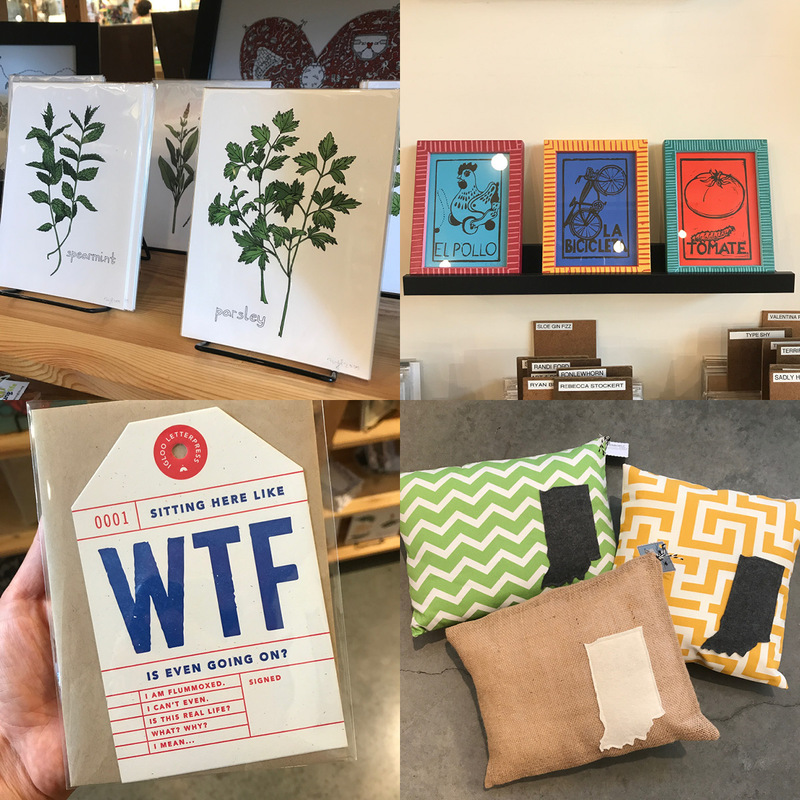 Restock on Indiana pillows by Lois & Ruby and there are just too many applications for this card tag by Igloo Letterpress. 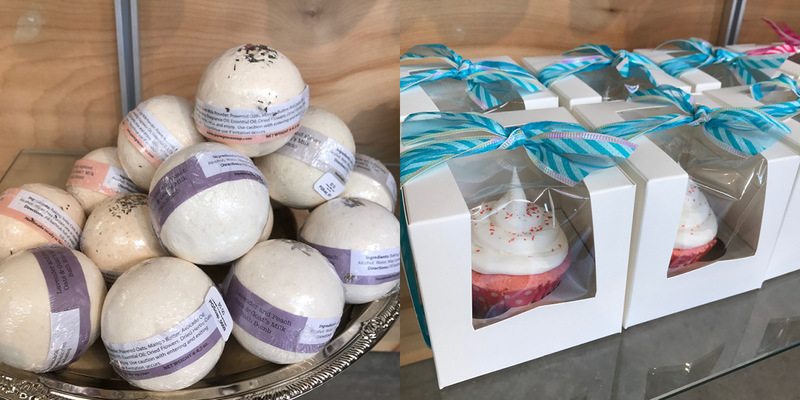 Restock from Pure Grace Soap, bath bombs and cupcake bombs! 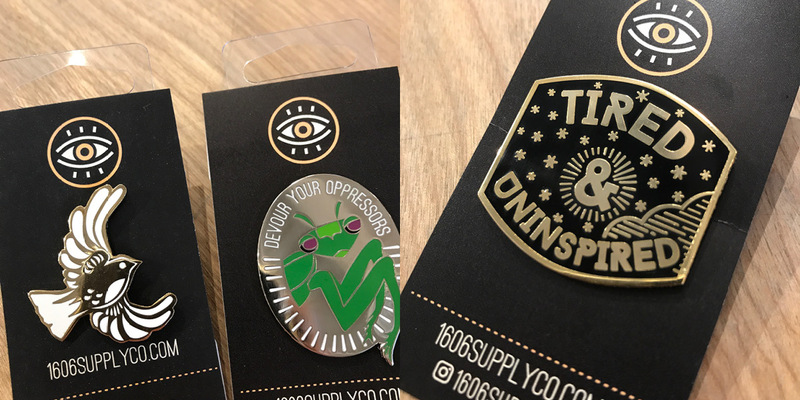 The most amazing metal pins from 1606 Supply Co., collect ’em all. 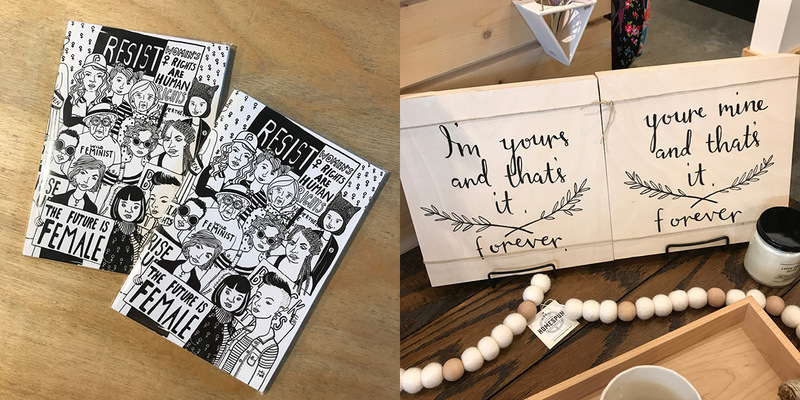 First Friday Featuring CFI 2 Art Club: Friday, September 1st 6-8pm: Here at Homespun, we’re passionate about supporting creative minds, especially the creative, young minds of our local community. 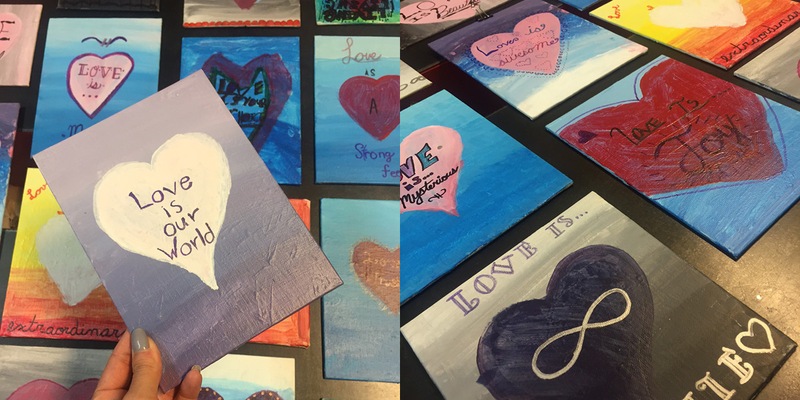 We invite you to come celebrate a truly unique First Friday show featuring the Art Club of local Indianapolis Public School, Center for Inquiry School 2! 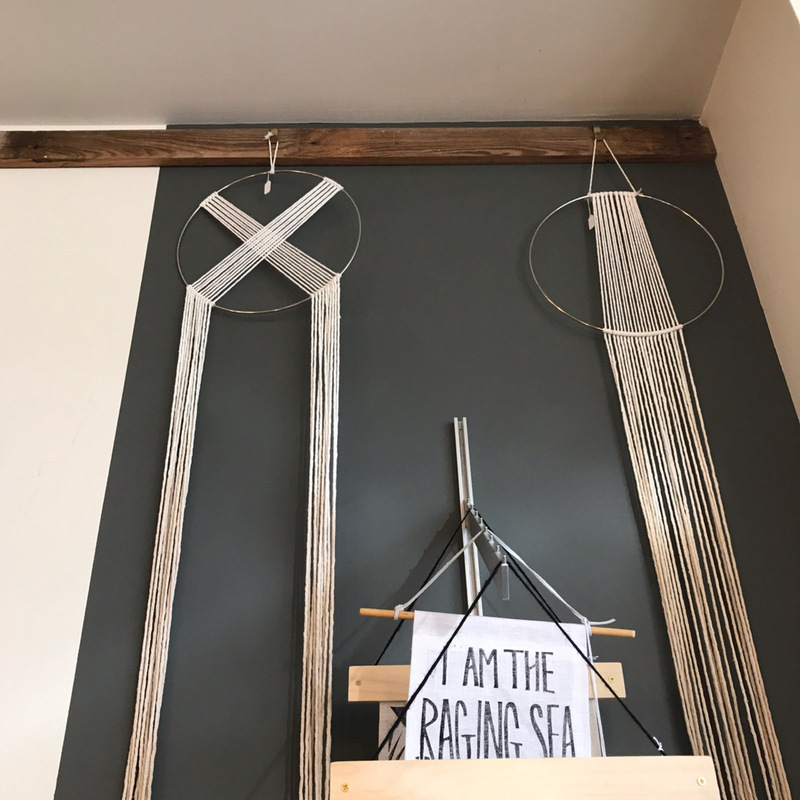 Workshop: Macrame Hanging Planter: Saturday, September 23rd, 1-3pm AND 4-6:30pm: Macrame is back with a modern twist! Join us for this macrame wall hanging workshop, where you’ll make your own macrame masterpiece from start to finish. In this 2.5 hour workshop led by Columbus fiber artist Sarah Harste, you’ll learn three different knots and how to design your own unique wall hanging. Your choice of copper pieces and wood beads also available to dress your wall hanging up! 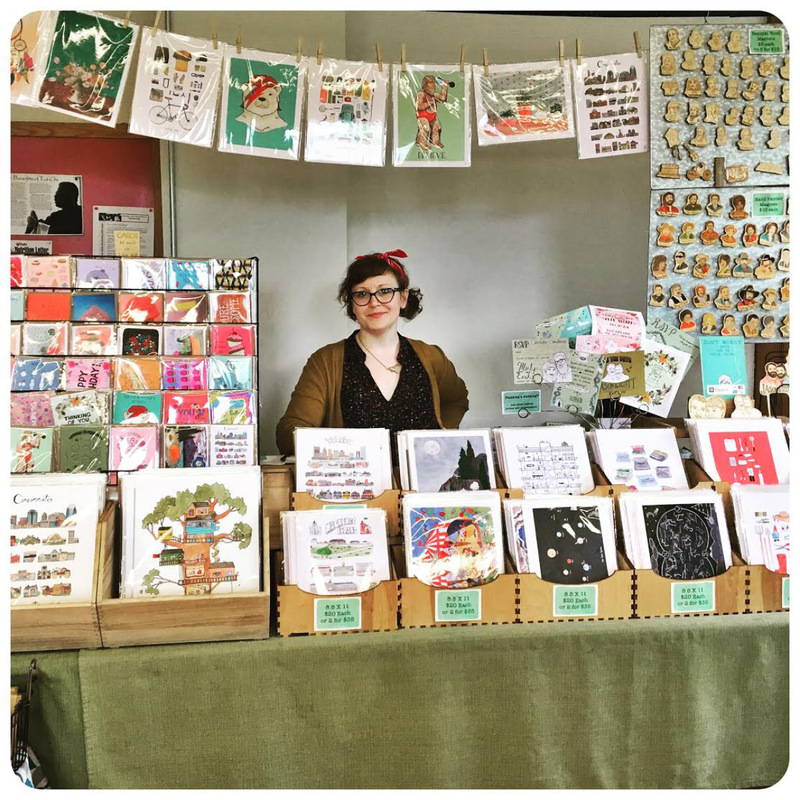 INDIEana Handicraft Exchange Winter Market: Friday, December 1st, 5-10pm: Come join us for contemporary craft, holiday shopping, and fun on Friday December 1st during our 2017 INDIEana Handicraft Exchange Winter Market! Are you a science buff? History enthusiast? 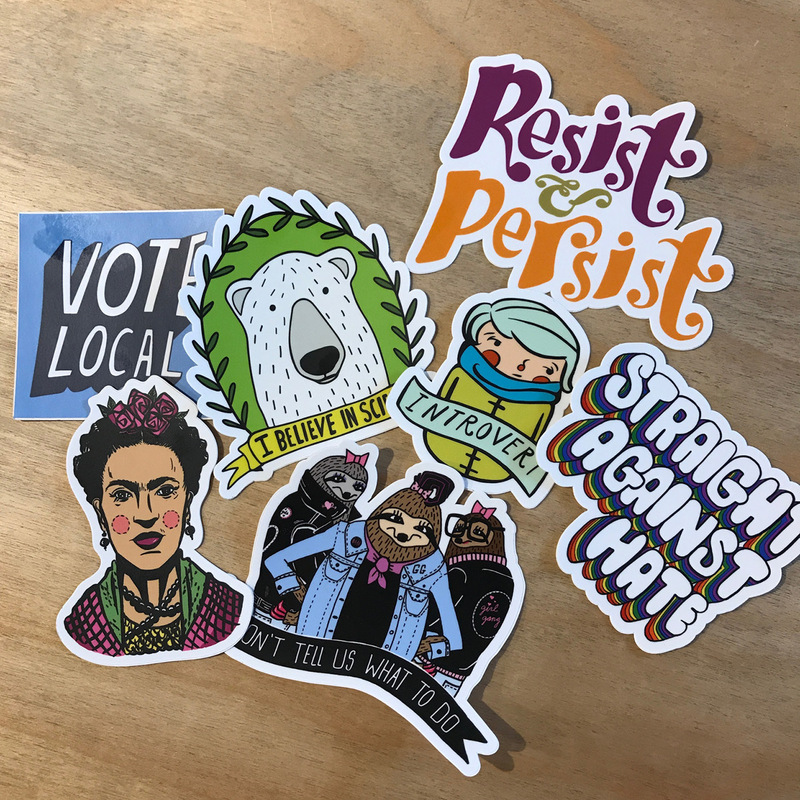 Illustration aficionado? 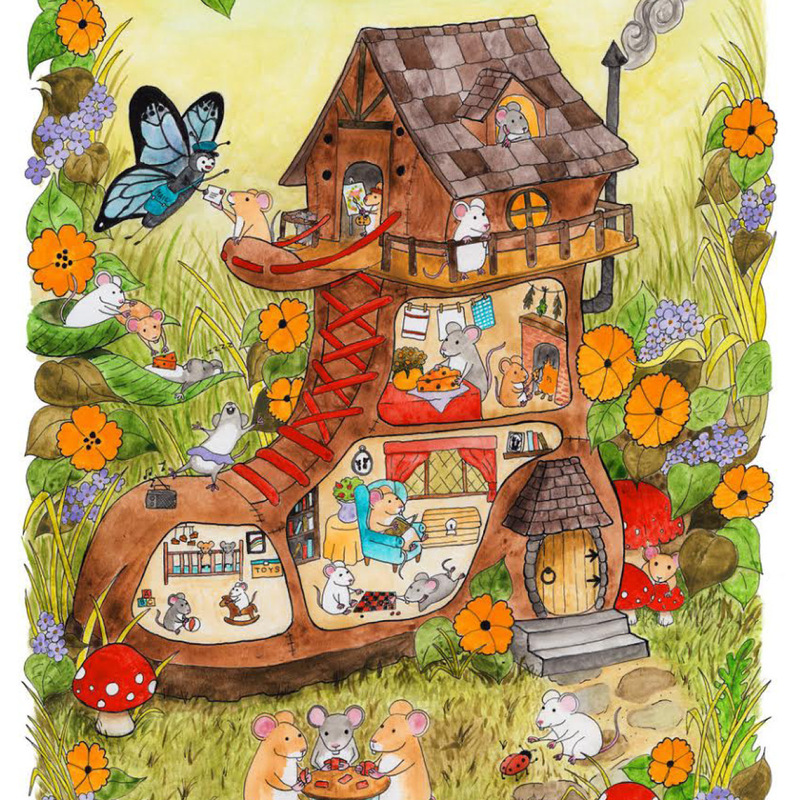 Then Jodi Lynn’s Emporium of Doodles is going to be like heaven to you. Jodi Lynn Burton expertly captures the essence of some of the most important figures of our time in her home studio in Detroit, MI. But she’s not always so serious- anything that might tickle her fancy she captures in ink and line and adds it to her emporium. You’re sure to find something to appreciate in this magical, imaginary place. 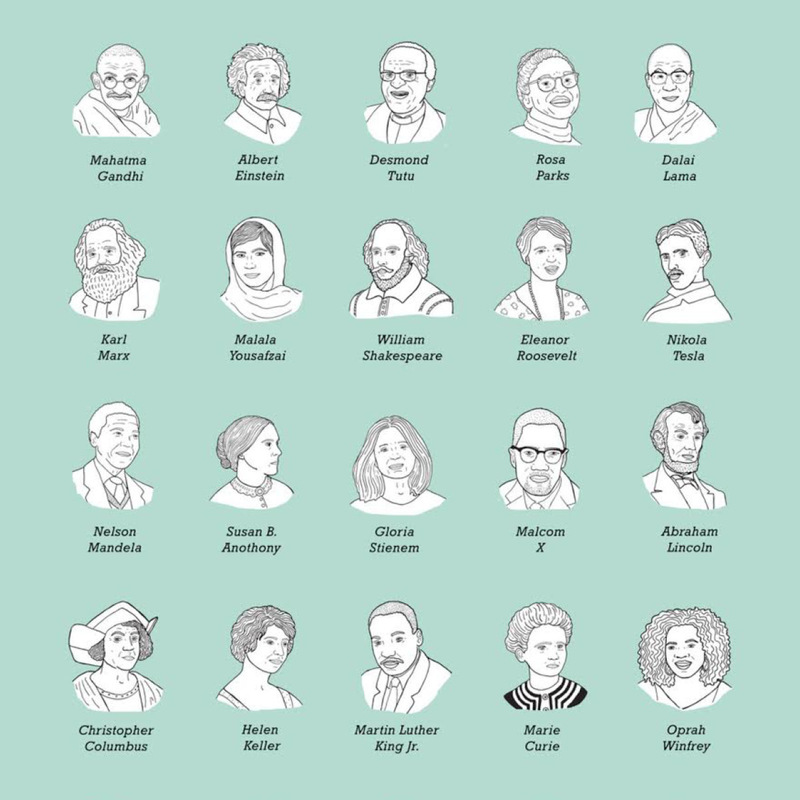 I am an illustrator that likes to catalog the things in the world. I make things because as an artist it is my job to collect ideas, and it is my way of recording those ideas through my art. 3| Please describe your illustration style. 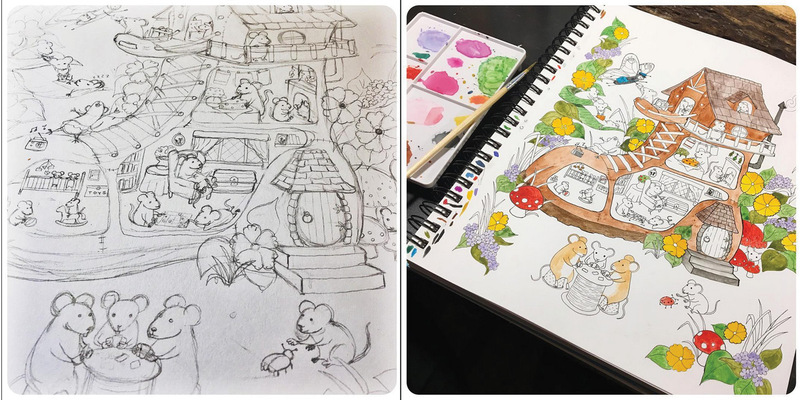 Are your originals made in watercolor or some other medium? 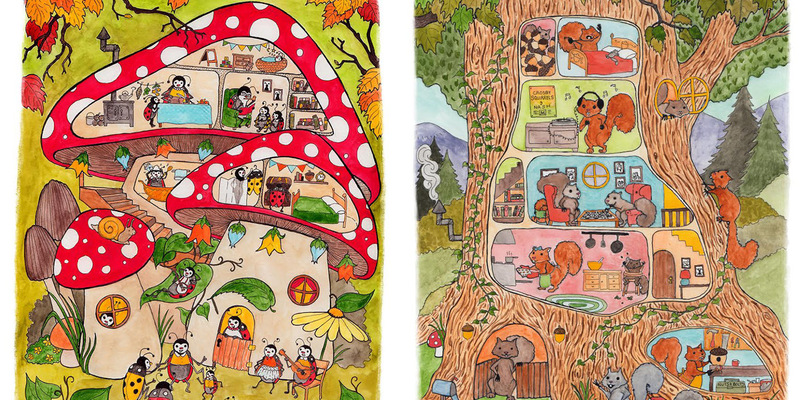 I would describe my drawing style as simple, whimsical, naive. I just like to draw. I use pen and ink and water color in my originals. 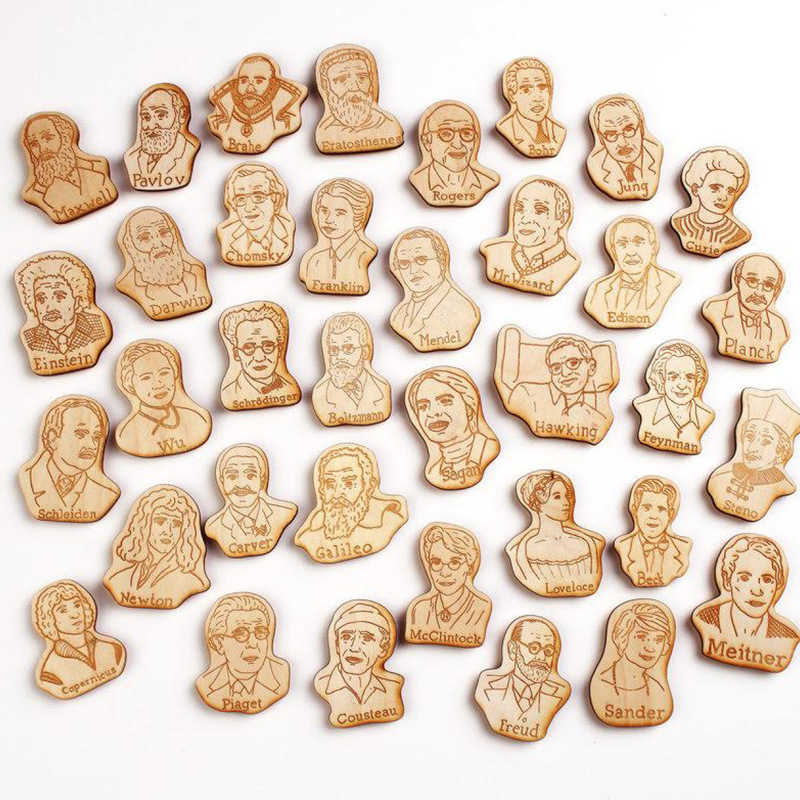 4| How do you choose who to feature on your laser cut magnets? Are you a science buff? Any other series on the horizon? I love that I can wake up every day and am excited about creating something new. No, my family always told me I was going to be an artist. I wanted to go into psychology, so I ended up doing 3.5 years of psych in college and after taking photography classes flipped the switch completely. I had always made stuff, but never thought it was a career. I actually worked as a photographer before I started as an illustrator. 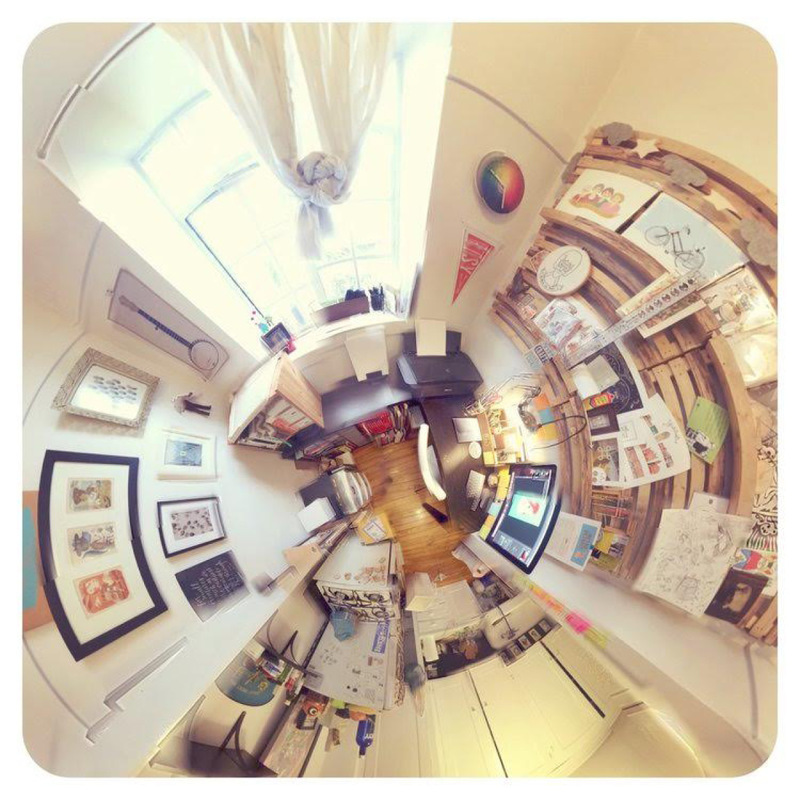 I work out of a 300 square foot apartment in Detroit. I always carry a sketch book with me, and sometimes I go on walks around the city to become inspired. Honestly I wouldn’t want to swap lives with anyone, I feel so lucky to have been given the life I have. 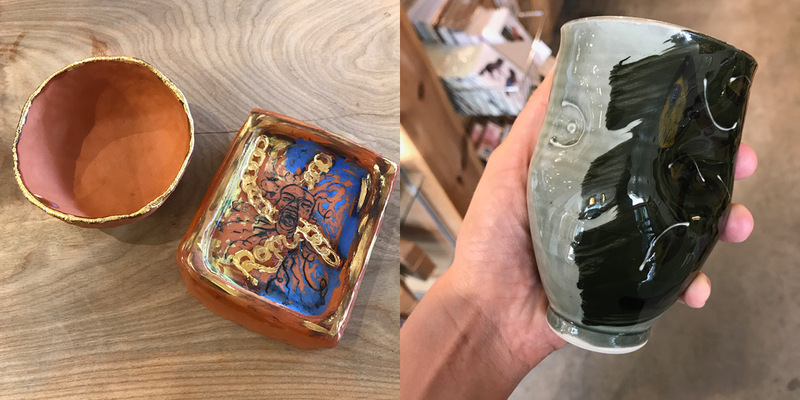 Handmade objects tell a story, they come from an individual, and you can talk to the artist about how they made the item. A quilt that my grandmother and I made as a child. I host a podcast called Detroit Craft Academy. I play banjo, I went to school for photography, I collect wire frame bikes. 13| I see you do custom pet portraits! That’s awesome. Would you ever consider doing human portraits? I do people portraits all of the time. I do custom work for hire, recently I have been doing custom cake toppers for wedding cakes! 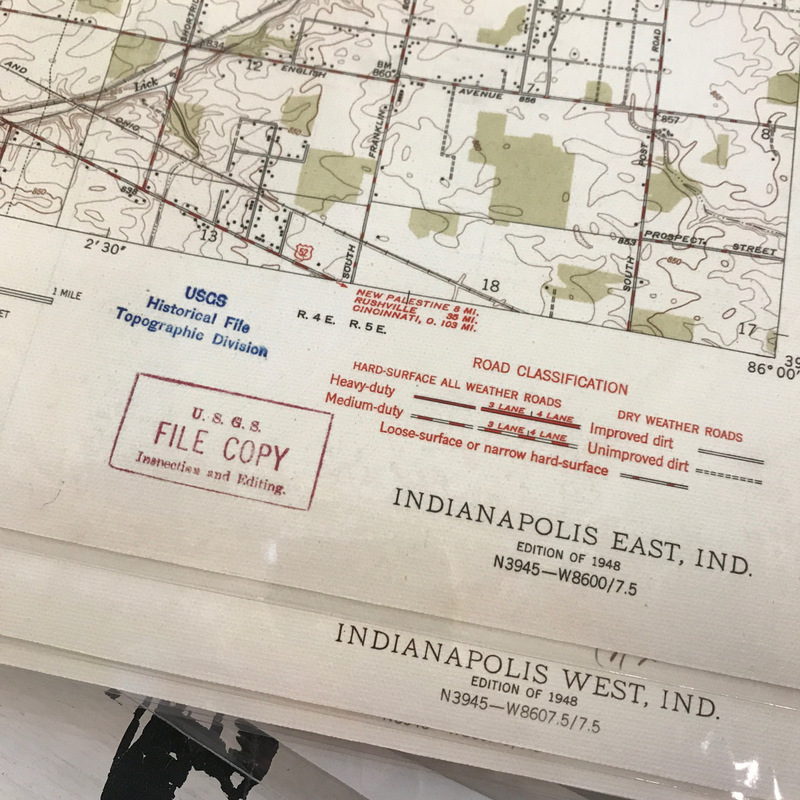 Wanna delve deeper into the emporium? 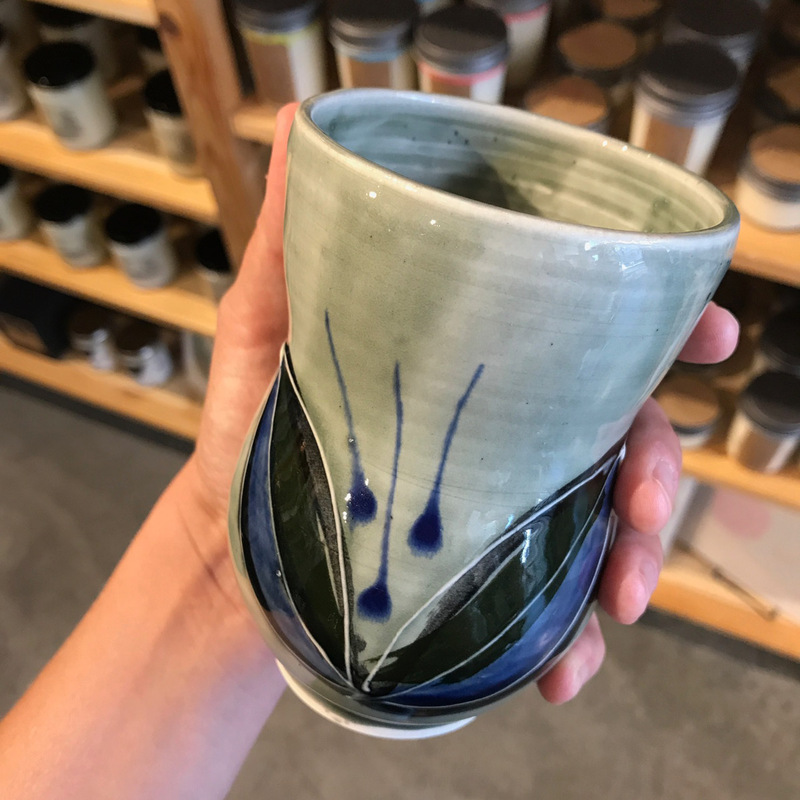 Check out her website or Instagram as well as www.detroitcraftacademy.com. You can also check out her amazing work right here on Mass Ave.! Thanks Jodi Lynn! 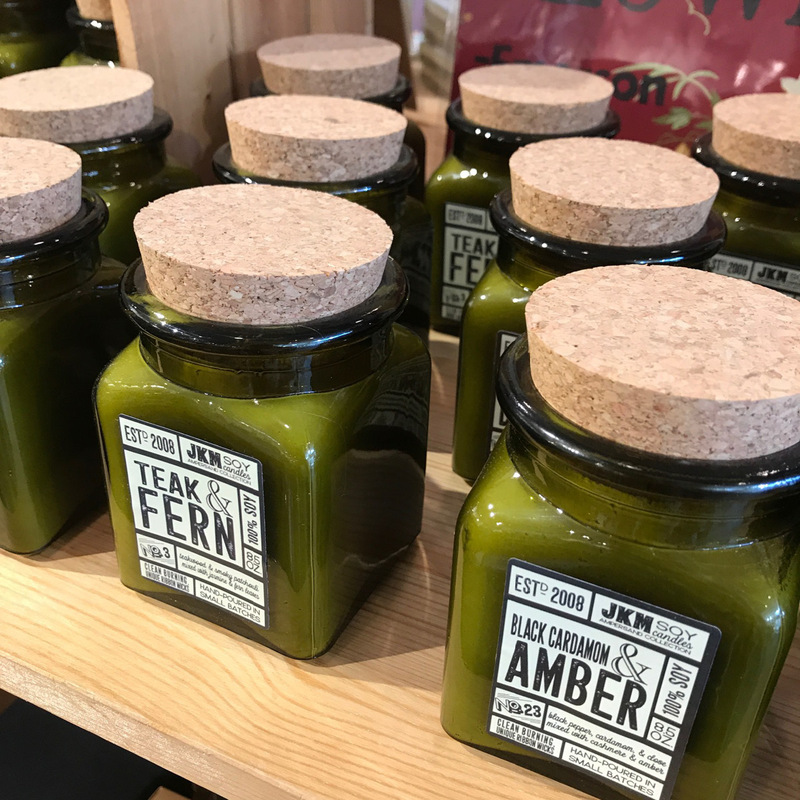 You don’t need special glasses to see that our new vendors are amazing! Get it? It’s an eclipse joke! Gotta make ’em while we can. 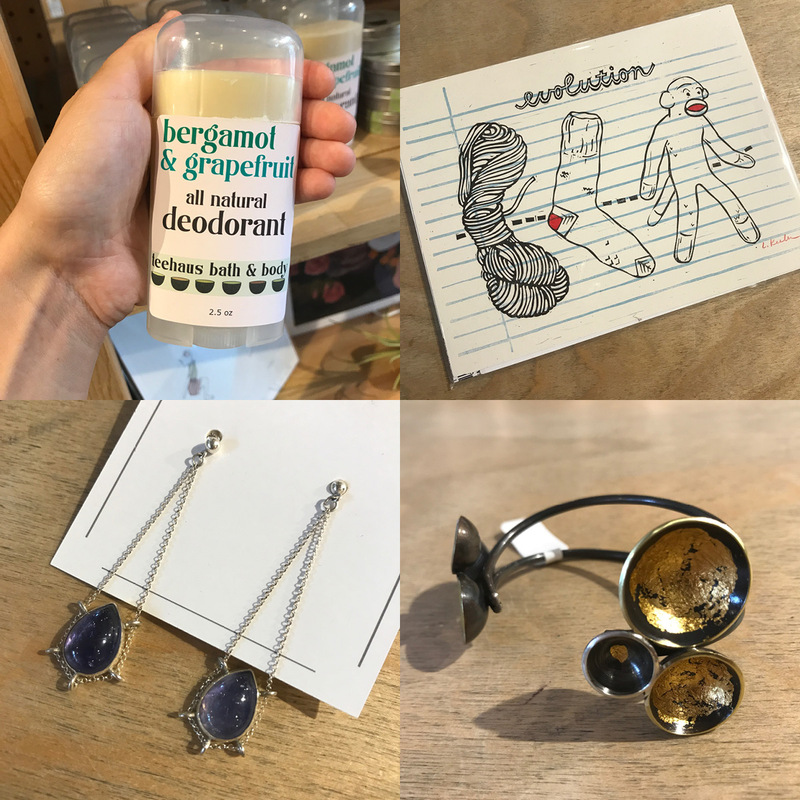 Check out the new handmade goods on our shelves and see what’s new around the shop this week. 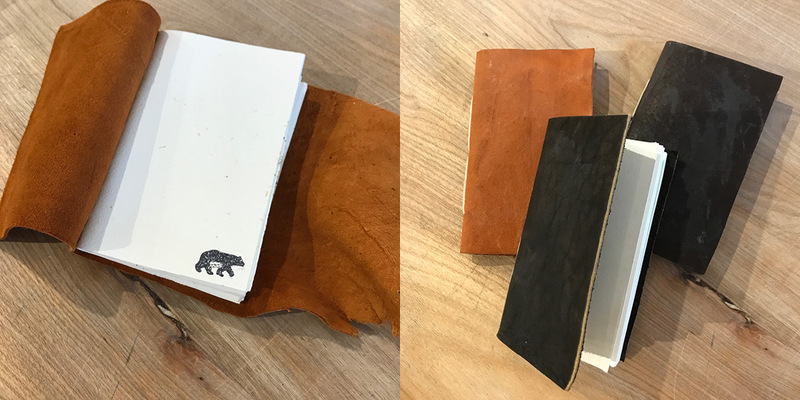 Brand new vendor Bluegrass Bookbinding has stocked us with some beautiful new leather journals. 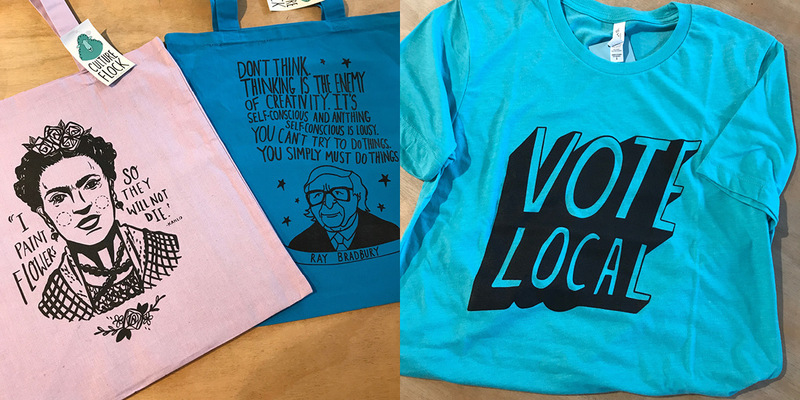 Culture Flock is bringin’ the good vibes. 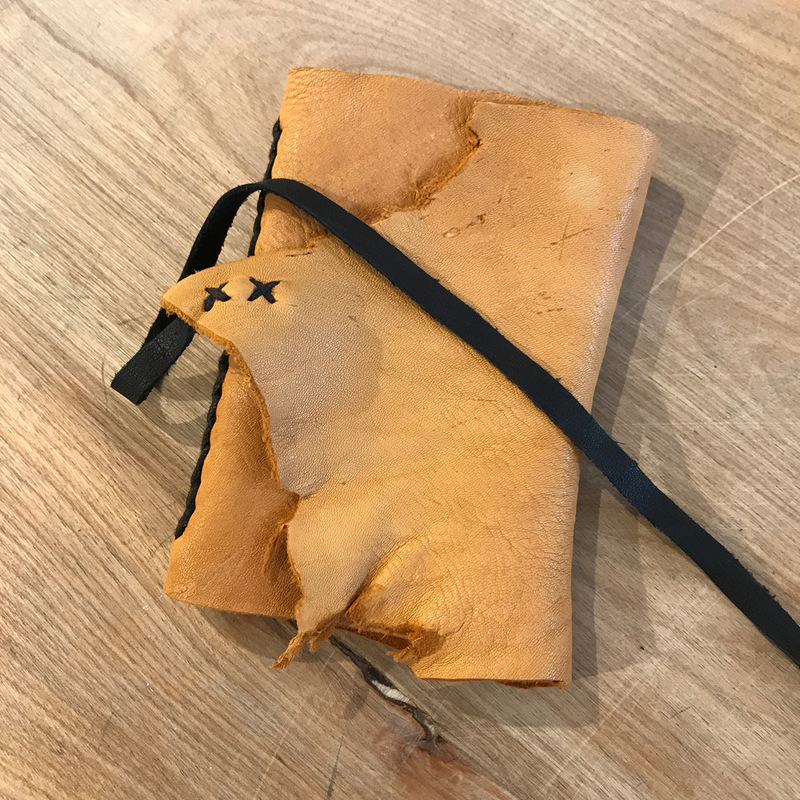 More from Culture Flock and Bluegrass Bookbinding. 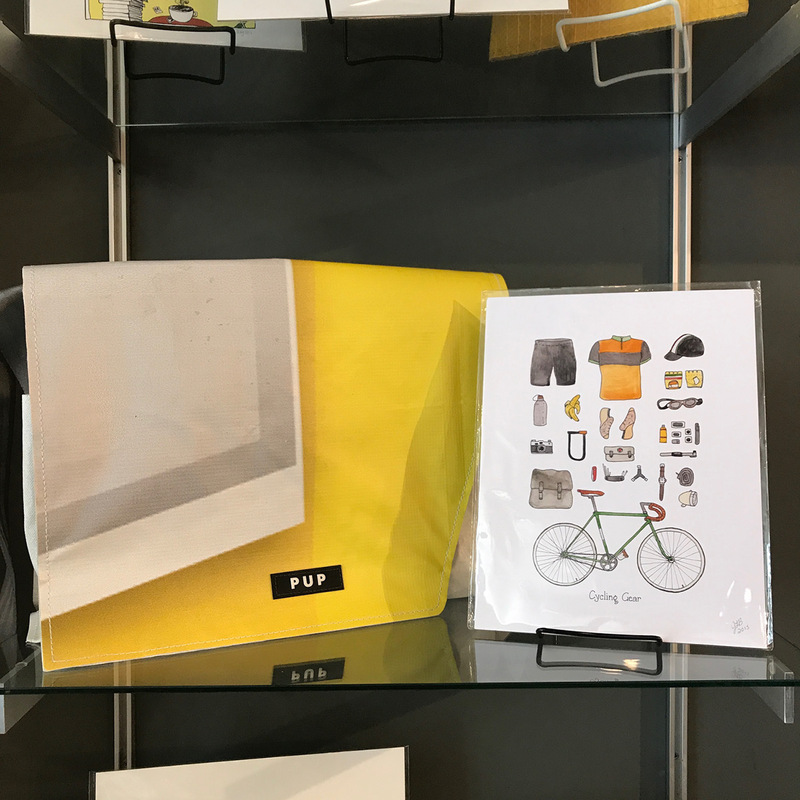 Love the pairing of art with the bags from People for Urban Progress in these refreshed shelf displays. 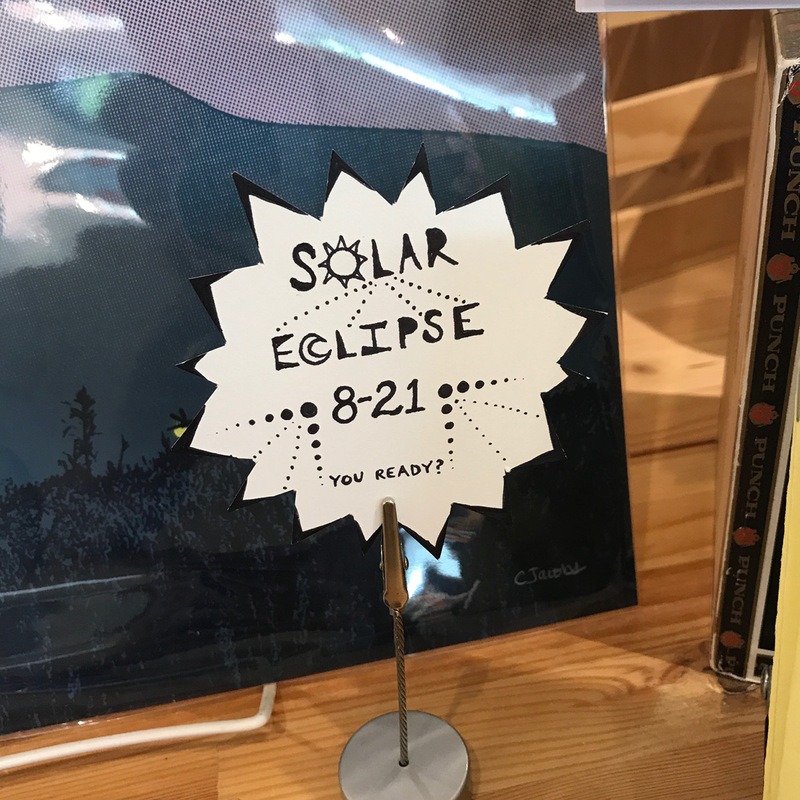 Are you ready to see the eclipse? We are! 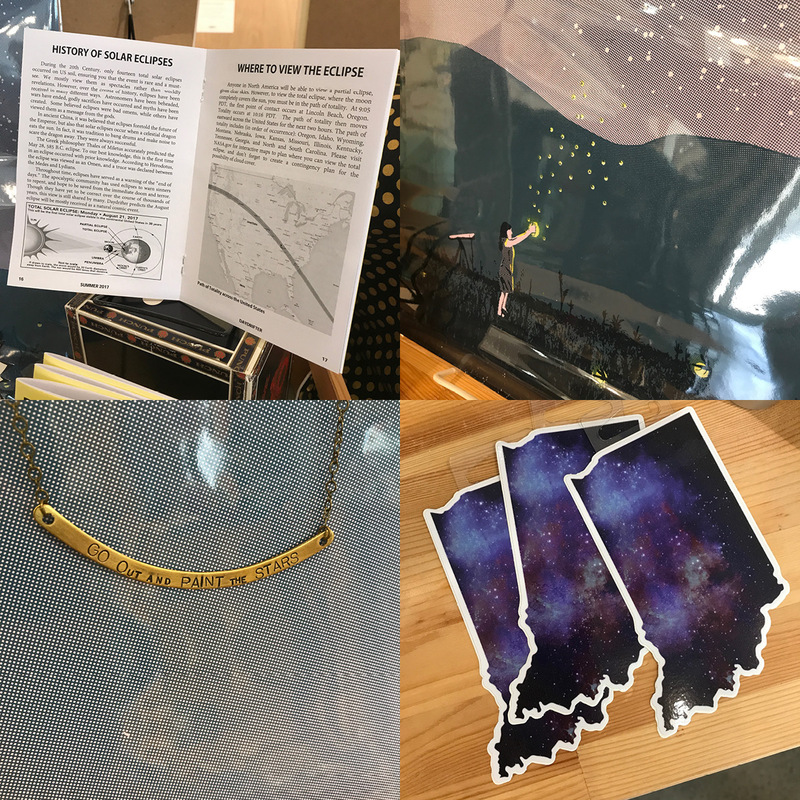 Beautiful star themed goods from Daydrifter, Arsenal Handicraft, Hoosier Proud, and Astronette. 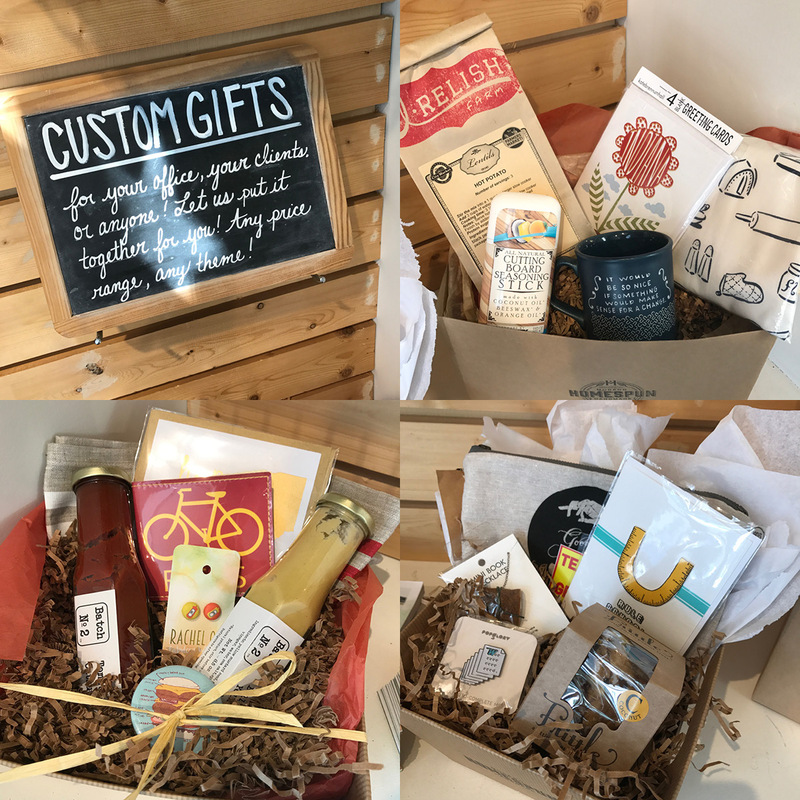 Our custom basket displays are always changing and I love to see the combinations our crew comes up with! Especially loving the ketchup and mustard theme. Beautiful sunshine on this glorious summer day! 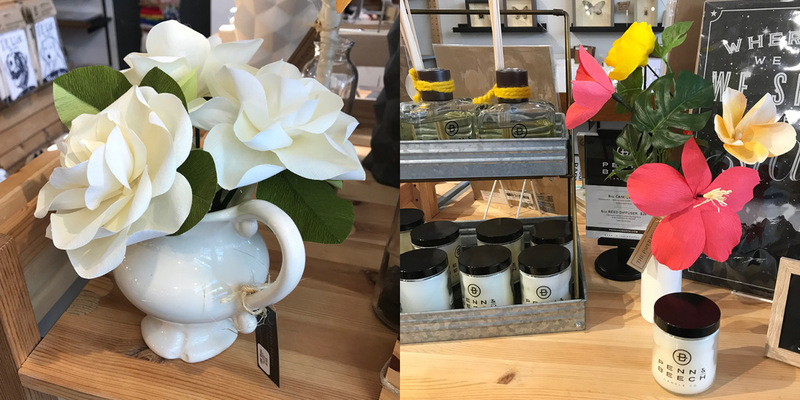 We’ve got these beautiful new paper flowers (yes, those are paper) by The Paper Peony plus more new gems to show you. 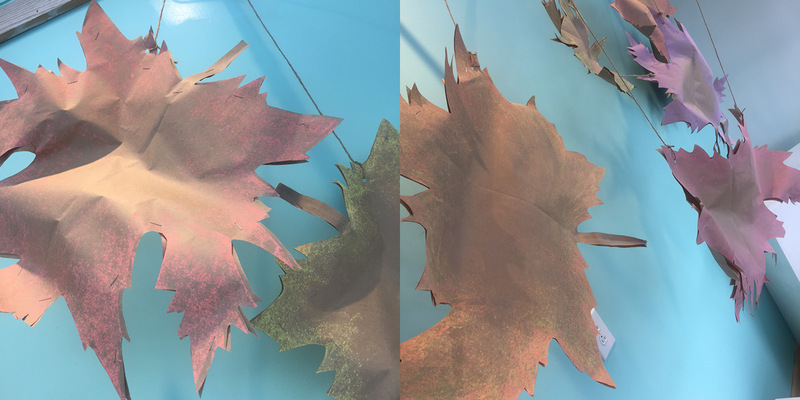 Come browse through the rays and see what catches your eye! 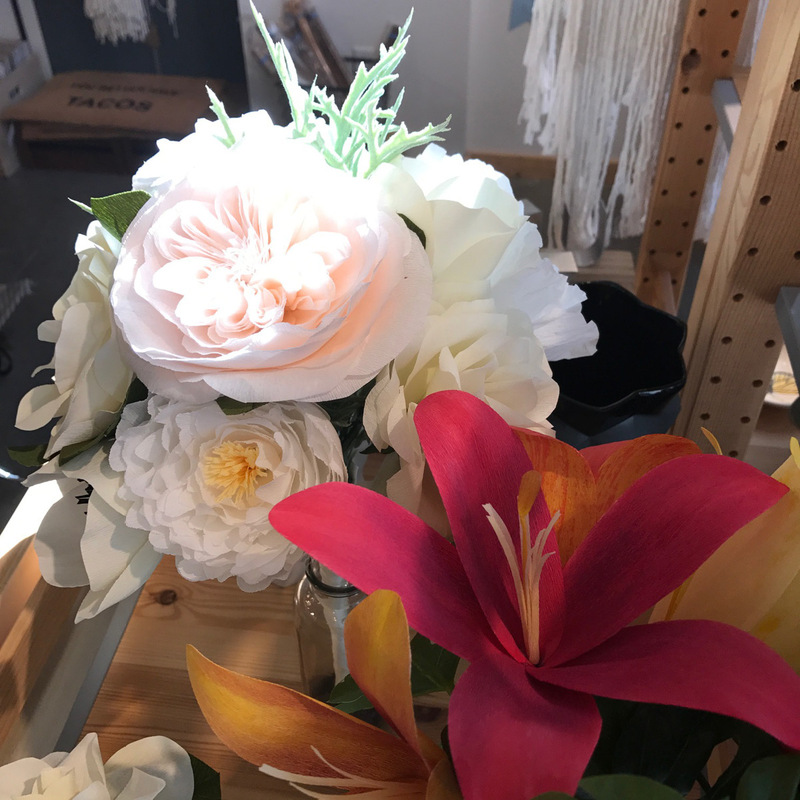 More blooms gracing our shelves by The Paper Peony. 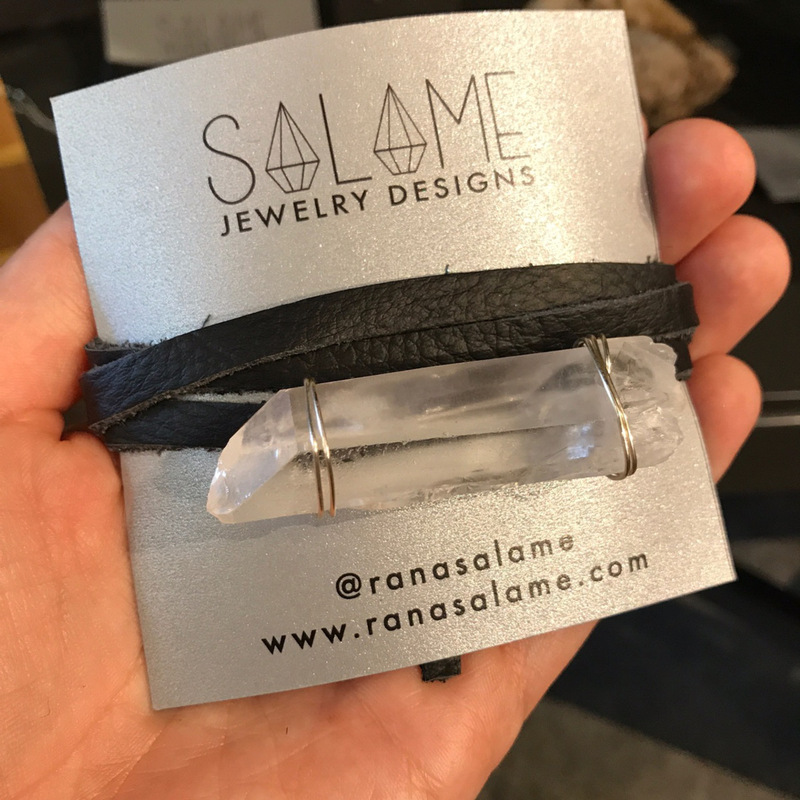 We’ve got a restock from gem creator Salame Jewelry Designs including these rad new leather and crystal chokers. 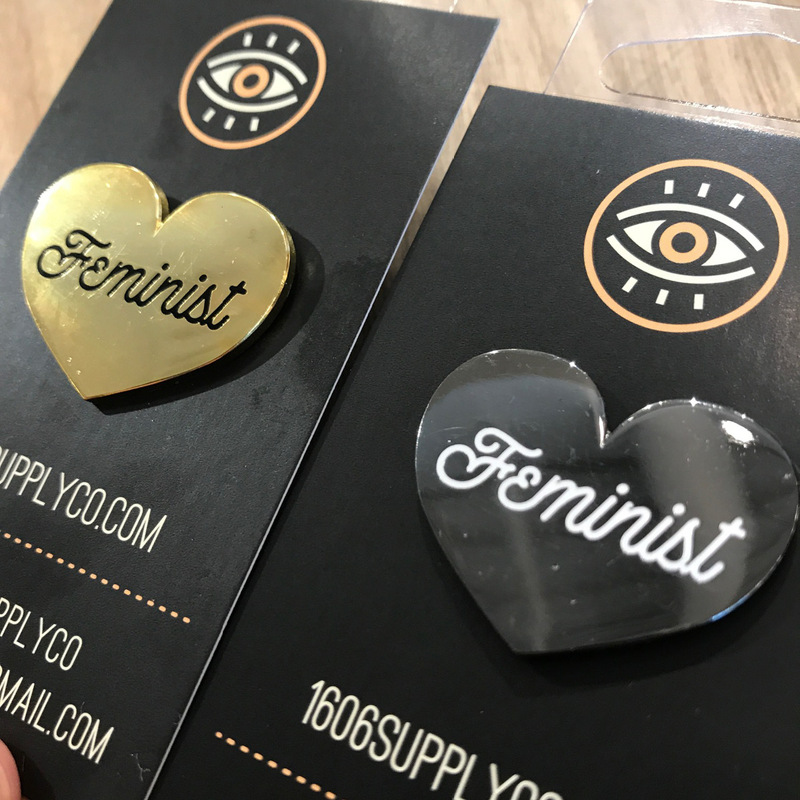 Re-stock from Sarahmics including some edgy new gilded pieces. 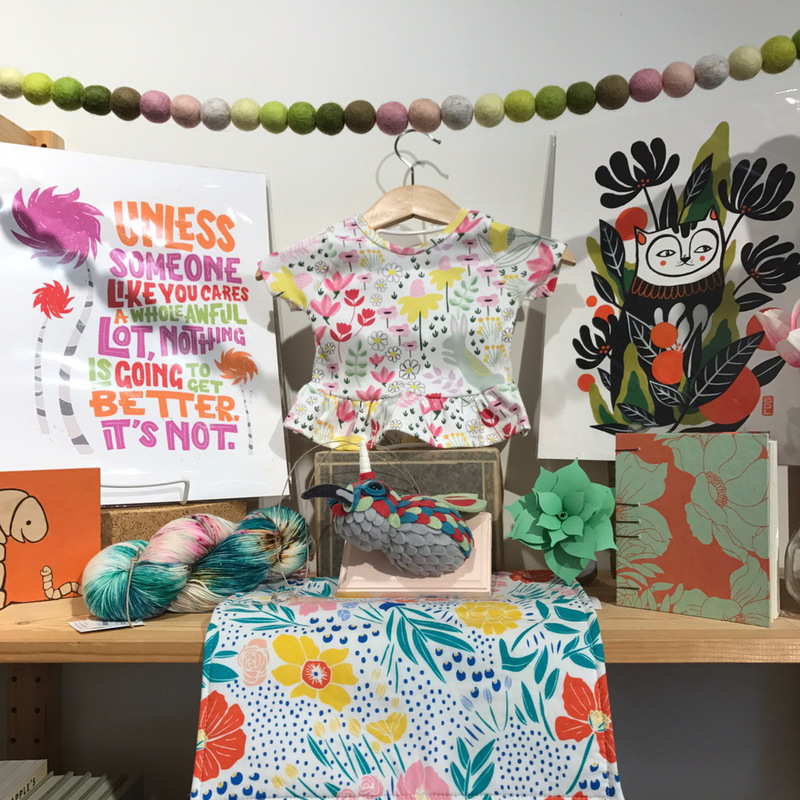 Re-stock from textile artist Savannah Norris in the shop. These pieces make such a statement and are only 28 bucks! 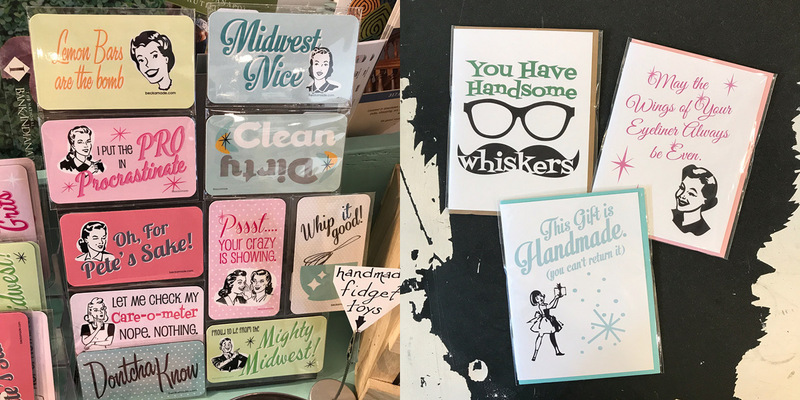 Brand new (HILARIOUS) vendor Beckamade brings us a huge selection of great cards and magnets. 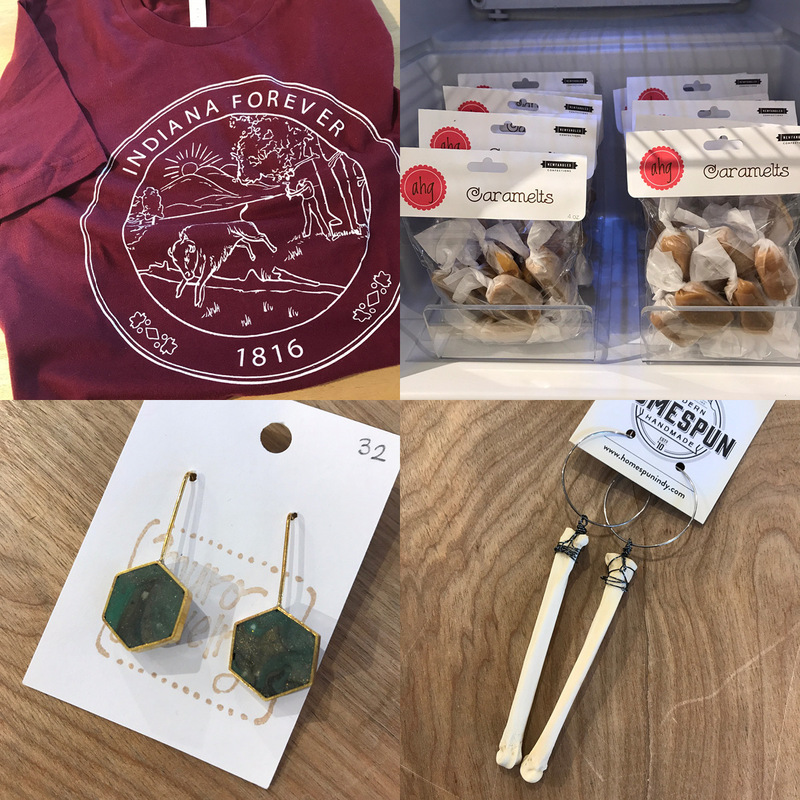 Sweet tee by Hoosier Proud, caramels by Newfangled Confections (with proceeds going to a local non-profit), sweet bone earrings by Dead Things by Sarah, and this photo just doesn’t capture the rich sparkle of these earrings by Muro Jewelry. LOVE this beautiful display atop one of our children’s book shelves. So bright and cheery and man those wool felted garlands by Goldendrop Garlands just pep up any space!